-- Reproduction forbidden except by written agreement. Our publications, analyses, documents and the opinions given are strictly copyright and intended for the internal professional use of our clients only. 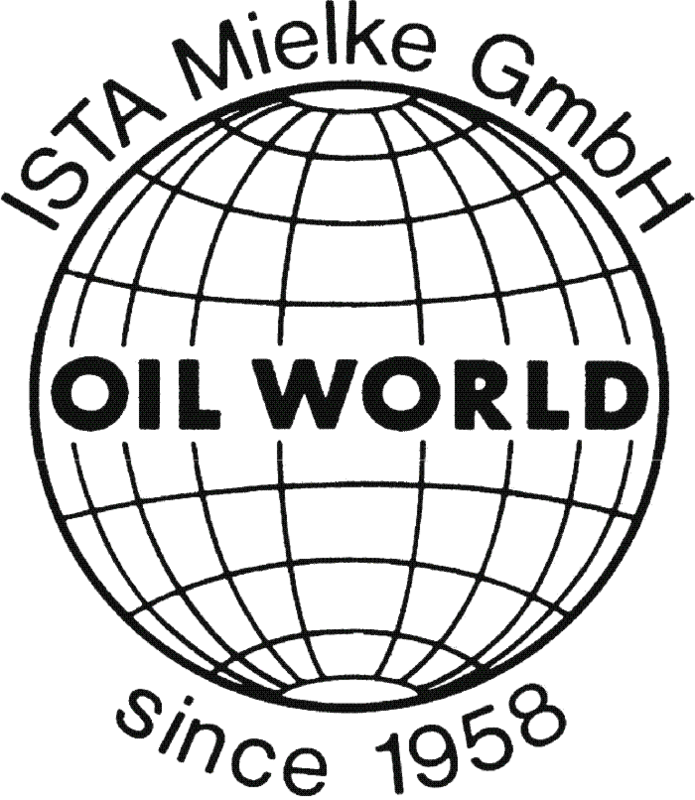 Any copying, reproduction and/or redistribution (whole or in part) of any of the documents, data, content or graphs provided in OIL WORLD publications, on the website, the CD-Rom/USB Drive or by other digital means and ISTA Data Services without the prior written consent of ISTA Mielke GmbH is strictly prohibited. Any rights not expressly granted herein are reserved. The material provided electronically or contained in any OIL WORLD publication is obtained from or based on official or other sources considered reliable and every care is taken to assure its accuracy and completeness. We cannot, however, accept any responsibility for it nor for our forecasts, estimates and opinions. Any statements provided constitute current opinions which are subject to change.